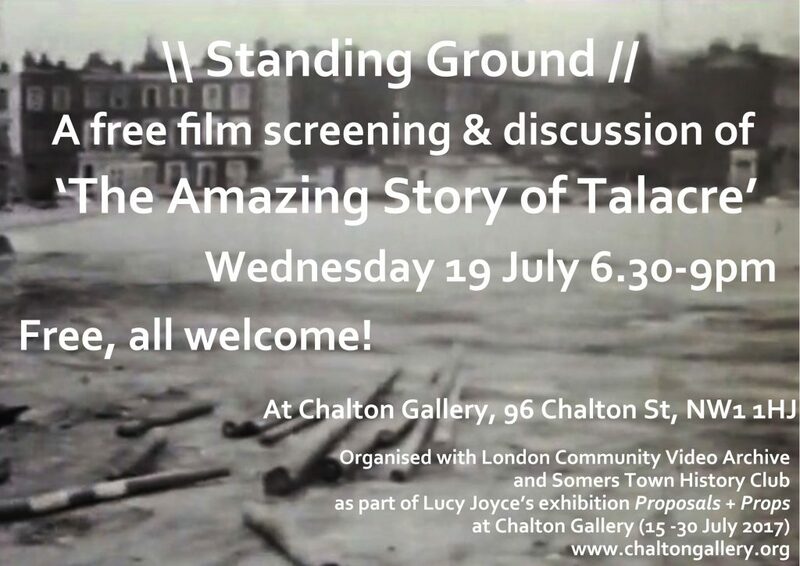 In July we showed a film ‘The amazing story of Talacre’, where in the 1970s a group of residents successfully fought to keep open land as a park for the community with their local council. How things change – in Somers Town, residents just lost one! This was a new archive called the London Community Video Archive and collaboration with 38bProjects and artist Lucy Joyce at Chalton Gallery.